Besides carrying out the role of the UTMKL Chancellery Office, Office of Corporate Affairs, Universiti Teknologi Malaysia Kuala Lumpur is the branch office to the Office of Corporate Affairs, UTM Johor Bahru. Thus the administration is the responsibility of UTMKL Campus Director. 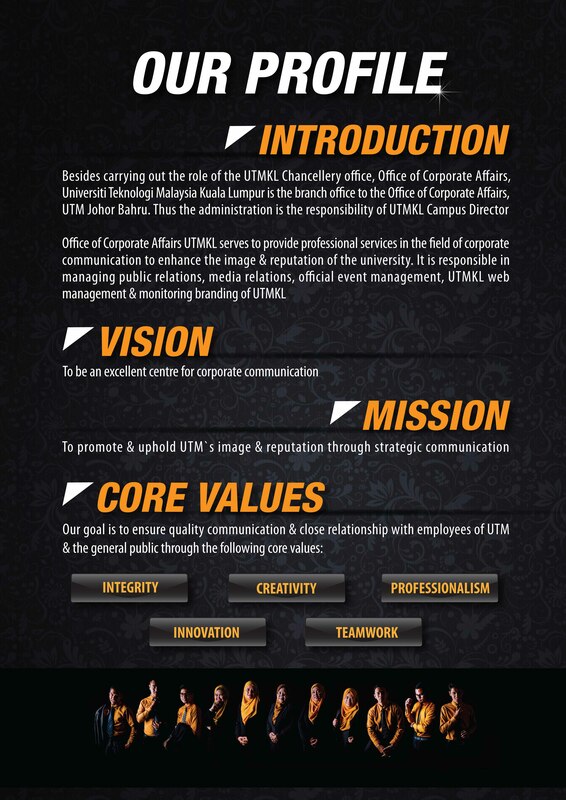 Office of Corporate Affairs UTMKL serves to provide professional services in the field of corporate communication to enhance the image and reputation of the university. It is responsible in managing public relations, media relations, official event management, UTMKL web management and monitoring branding of UTMKL.